Apple has released iOS 12.0.1 for iPhone, iPad and iPod touch. it’s a bug fix release and here is the complete changelog of the update. 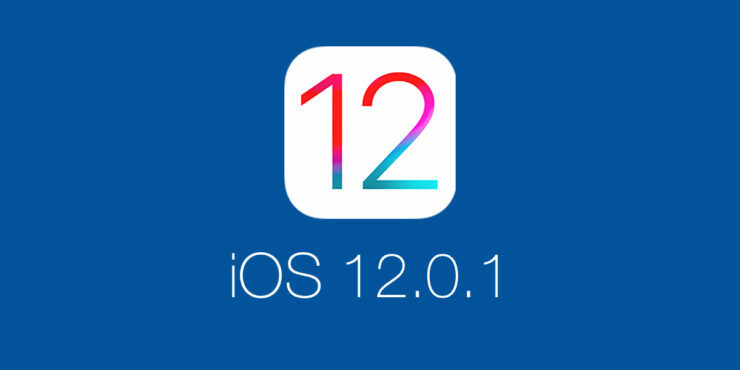 Apple released iOS 12 last week with a plethora of changes and the company has now released iOS 12.0.1, the first ever point update to its major release. If you’re wondering what’s new in this build, then you can check out the changelog below. With that out of the way, it’s important to know that this is a bug fix release and everyone should go ahead and download it. There are two ways you can go about it, one is the usual over the air method, while the second is the clean install route, which we will not recommend since this is a small update. If you want to download iOS 12.0.1 over the air, simply connect your iPhone, iPad or iPod touch to a WiFi network, make sure you have more than 50% battery available then navigate to Settings > General > Software Update. As soon as the update becomes available for download, tap on Download and Install. Remember, before you go ahead with a clean install, make sure your data is backed up to either iCloud or iTunes. You can choose any route you like as long as your data and files are safe and secure. If you want everything to happen as quickly as possible, then an iTunes backup is the best possible route, until or unless you have a ton of iCloud storage and a super fast internet connection at home to create a backup. If there are other changes apart from the ones listed in the changelog, we will highlight them here, so be on a lookout for that too. In the meantime, update your devices right away.